Case Studies - What have we done in your local area? If you've not experienced Trentwood Fencing's services yet we understand you won't necessarily take our word for it when we tell you how good we are! 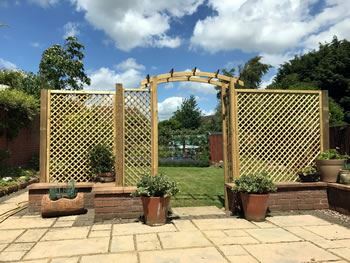 To get a better idea of the standards we work to when we install your new fencing or gates, take a look at some of the jobs we've done in your local area - you might recognise some fences or gates in your neighbourhood! If you don't see a case study for your town or village, don't worry - Trentwood Fencing travels the length and breadth of the county, so no matter where you live in Oxfordshire, call us to talk about your requirements. You can also read our customers' kind testimonials and the many positive reviews on Feefo. Call 01865 739005 or 07900 938061 for a quote.